Mmmm, salsa…. The perfect way to liven up a plate of food. Mexican dishes, of course, but it can also transform a sandwich filling or many veggie dishes. I can’t wait to try tiny kitchen stories‘ brilliant sounding salsa that keeps for up to six months…. how cool is that, salsa constantly ‘on tap’ in the fridge?! In the meantime, here’s one of our staple tomato salsas…. This one is made from ‘dry roasting’ the veggies in a hot dry pan, blackening them almost, giving a beautiful smokiness, but also with lime and coriander giving the fresh vibrancy that any good salsa should have. This was inspired by one of Thomasina Miers‘ recipes. – Add the salt, pepper, lemon/lime and coriander and whizz again. – Taste and adjust the seasonings. Hey! Thanks for the plug! 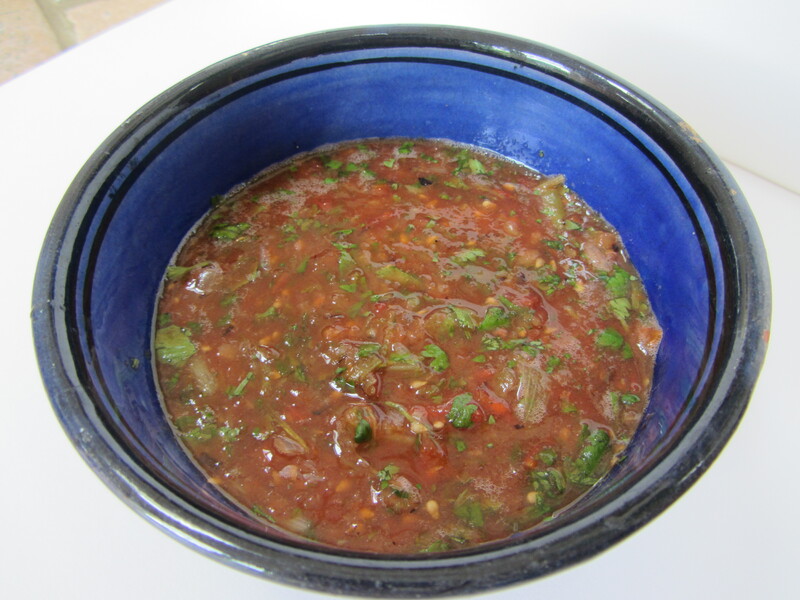 And this salsa looks great–I love that it has charred veggies in it. Always gives such a unique and yummy flavor! It’s a pleasure… your salsa is on my to make list! I’m so happy! I’m not sure if you’ll be able to find the yellow chiles though…good luck!